If you are an American Idol groupie, then you already know which Season 11 singers make the Top 24 cut. The spoilers are all over the blogosphere – well, except here. I like to keep my readers in suspense. 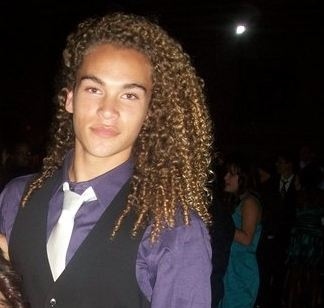 Enter the invisible yet riveting singer –Deandre Brackensick. He was prominently featured last season but, inexplicably, didn’t make the Top 24. And now we know why. Producer Nigel Lythgoe was playing his hand early, giving Deandre just enough air time during Season 10 to remain in the minds of the viewers when Season 11 aired in January 2012. As if anyone could forget him? With that wavy hair, those gorgeous facial features and that killer voice, all they need to do is plant a big red bow on his head and serve him up to the public as a surprise Season 11 gift. Deandre is one of those rare finds; he has everything going for him. The looks, the charisma, the talent and, from what I have heard, he is a sweet, likable young man. Oh, and did I mention he is just seventeen years old? Oh, yes, those teenage girls, their Mammas and their GrandMoms are going to fall in love with this guy. He has one of the most beautiful falsetto voices I have ever heard but still has strength and power in his mid and lower range. The potential for greatness is huge. Will we see or hear him tonight? No one knows. We just have to keep tuning in – and therein lies Nigel’s master plan. He teases the viewers with glimpses of Deandre, making us think that he will be featured after the next commercial break. However, we have yet to see him perform. Maybe tonight will be different. Oh Nigel, you are such a rascal! But, we’re on to you. How about you? Is he one of your favorites? If not, who is? Hit the comments section and theorize away. Let’s have some fun here and play around with Nigel. I would love to hear your take on this enigma called Deandre. Final Prediction: If he makes the Top 12 (wink, wink), he will be known only as Deandre. But, you knew that already, right? Enjoy the video below. It features Deandre’s unique vocal style and exquisite head voice. The boy has killer chops. Update: Nigel just tweeted:There’s a lot of GREAT performances on #AmericanIdol tonight. Check out Candice, Jessica and Deandre singing “I Guess It Doesn’t Matter.” Special thanks to Tiff for this info. p/s: Nigel tweeted this morning that DeAndre will actually be performing on tonights show! It’s about time. There's a lot of GREAT performances on #AmericanIdol tonight. Check out Candice, Jessica and Deandre singing "I Guess It Doesn't Matter." All of us in the SF Bay Area Hawaiian community have been mesmerized by Deandre’s talent for years. I first saw him performing when he was 10 and my jaw hit the floor. And he just gets better and better!!! He has many aunties and uncles ready to vote for him and you can bet that the young women will get on board as well! (You should see him hula. Check out YouTube.) Geev ‘um, Kamele! I agree with you, I have been watching, waiting to see deandre sing and I can’t stand it anymore, what I think Nigel is doing is he knows that deandre has a big following already with just the hawaiian community and so he is waiting to and teasing us with a glimpse here and there. Well i hope it dosen’t end up hurting deandres chances to become the new american idol because if any one deserves a fair shot it is this kid. So hopefully he will get the votes he needs to succeed. Welcome Deandre fans. Nanas64, this is why I wrote the article. Enough is enough – show his face and voice on TV. He’s the main reason I am watching these episodes so intently. Tonight’s the night! well once he is shown i promise you won’t forget him and thank you for this article it is about time i love it. this is a great article..
You are most welcome nanas64. Been meaning to write it for a while but, after last evening’s show, I thought “Enough already!! Unveil your star player. We know he’s out there”! i am now your biggest fan my lady i am going to tell evryone about your blog on my facebook if that is okay. it is so nice to know someone else reconizes real talent i love you for that…….. Yes, please stop by and become a fan while you are there!!! Again, lovely write-up! Oh thank you so much, nanas64. I appreciate your love and support. I do love DeAndre so much. He is a huge star waiting to happen, of that there is no doubt. I think what Idol is doing is erring on the side of caution this year. I think that over the last couple of years they pointedly chose their favorites in the early auditions and many of the fans were very upset over this. Tiff – I am a fan on one of his Facebook pages. Maybe it’s yours? If not, I will become a member ASAP!! I knew he was good last year but I will have to see what he brings this year before declaring myself as a fan. When I began to see ½ second glimpses of him early this season and recognized him as the kid from last year that was cut in favor of less interesting contestants, I knew he was better than anyone I had heard in the auditions up to that point. That’s why I expected a stellar audition from him. Didn’t get it. The group comprised of all young singers, which he sang in during group week last year was among the top two or three groups of the season so, again, I expected big things from him in the group round. Instead we got maybe five or six ½ second glimpses of him. He was good on the green miles last year so I expect him to really shine there if not in the Vegas groups. I think he was probably sent home last year because he would have diluted the voting demographic for the designated winner. You would have had two talented, clean cut, mature, well behaved, confident, humble young men, one 15-16 and the other 16-17 competing in the top five and neither of them would have come out on top because they would have attracted the same voters in many cases. In the meantime he should have been able to raise his game since we last saw him and I would guess that he will enjoy more favorable placement in the field of contenders. Last year also saw several uncharacteristic career launches so they may have just held him back for a more favorable launch this season or to have a known strong contestant in this year’s field as competition from the other networks builds. On the other hand, Brielle Von Hugel showed a lot of promise last year and, while it was obvious that she was young and lacked experience, she held her own pretty well with Pia and the third girl who sang “Grenade” during group week. I would have expected her to grow and improve during the off season as well but, the way they are presenting her is as if the only thing that grew was her head. It seems pretty obvious by the way they have played “where’s Waldo” with DeAndre that he will be a player. I will have to wait on declaring myself as a fan, I usually am a fan of one or more of the girls. I’m with you; I don’t read or like the spoilers and seldom read any other Idol sites. I don’t get the point of knowing ahead of time who will win a contest. My comments are based on my own observations. Gene – so very well put. You hit many nails on the head in your comments. I also think that Idol realized that they upset the apple cart by jumping on the Scotty/Lauren bandwagon from the preliminary auditions. Many fans of other singers were very upset and I can’t say that I blame them. The lack of suspense in Season 10 was due to poor executive decisions early in the audition process. American Idol is on the right track this year. There is also another hidden gem – Jessica Sanchez. She is fantastic. @KariannHart @AmericanIdol I’m sure you’ll see the rest of them tomorrow night’s show for sure. I love #Idol too. 🙂 Thanks for watching. Yay Kariann. You are my new hero! Good work getting an answer from Michael Orland. Brava! I my son and I have been WAITING for DeAndre since he left last year! He is SO talented and seems to carry himself very well. I am also tired of the “teasing” American Idol is doing to me and my son! I absolutely love hearing him sing and hope he will make it really far this time. If he is not in the top 10 this year I swear I will NOT be watching American Idol EVER again…. I hope everyone saw Deandre tonight and I have to agree my favorite girl is jessica sanchez what a beauty and what a voice and of course they put the two hidden gems in the same group but deandre did so great his range of vocals I he definitely shined like the star his, he is my top favorite. Thanks again my lady for this blog I hope to talk to you for a long time. GO DEANDRE ANDNOW JESSICA!!!!!!!!!!! this might be a really weird question but I couldn’t find anything on the internet about Deandre’s hair. I am wondering if someone knows what he puts in his hair, so that it stays so beautiful curly. I hope someone can help me with that. 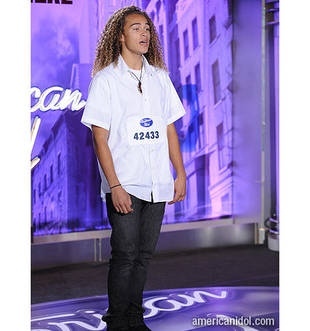 Deandre has the voice of an Angel! Check out you tube Deandre singing Kealoha. I had the chance to meet him last year at a Hawaiian event in Hayward….We made a pack that when I lose my weight he will sing Kealoha for me and I will dance once more…we’re going to post it on youtube….guess that won’t be happening now because ‘HE WILL WIN AMERICAN IDOL” I believe in you Deandre!